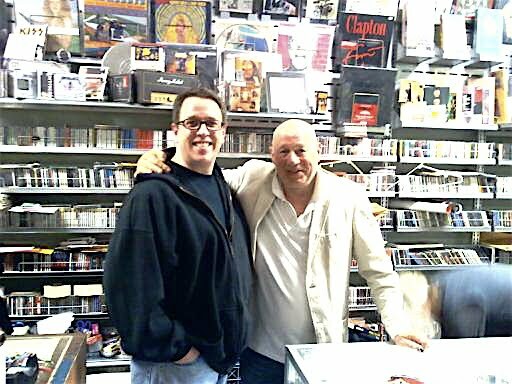 Last night I had the opportunity to watch and meet another of my heroes, Mr. Neil Innes. 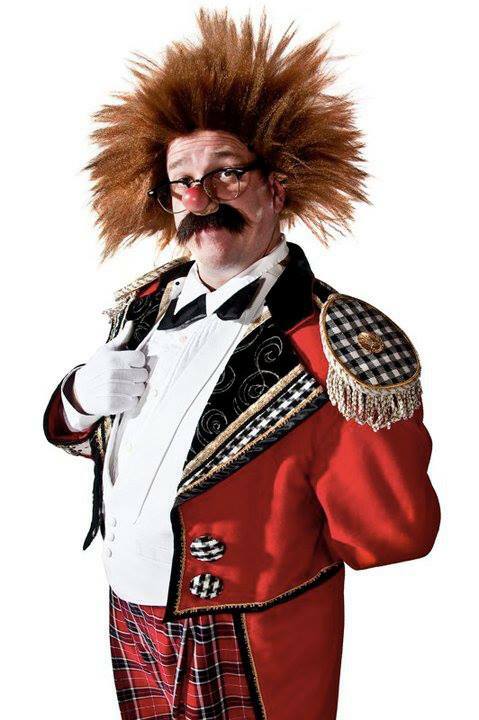 Mr. Innes started his comedy and musical career as part of the Bonzo Dog Doo Dah Band and performed on DO NOT ADJUST YOUR SET alongside future Monty Python members Eric Idle, Terry Jones and Michael Palin. He appeared in the last season on MONTY PYTHON'S FLYING CIRCUS, plays Sir Robin's minstrel in MONTY PYTHON AND THE HOLY GRAIL and joined them onstage at City Center in New York and again at the Hollywood Bowl. He was also a regular on Eric Idle's post-Python show, RUTLAND WEEKEND TELEVISION and wrote all the absolutely dead-on, brilliant Beatles song parodies for THE RUTLES. Neil Innes is a brilliant comic mind and a tremendous talent. If ANY of the dates on his tour schedule are ANYWHERE near you DO NOT miss the chance to see him live. Chesty Mortimer and a whiteface partner performing the boxing gag in an undated photo. I'm going to guess that this is from the late 20s/early 30s. 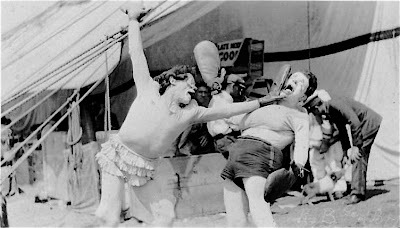 I have footage of Lou Jacobs performing the gag on Ringling in the 30s, probably just about the same time that Otto Griebling and Freddie Freeman were establishing their version on the Cole Bros. Circus. HAPPY 60TH BIRTHDAY, JANGO EDWARDS! 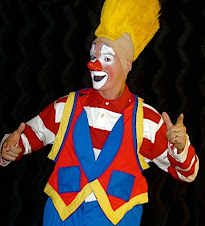 Happy 60th Birthday today to my friend and teacher, Mr. Jango Edwards, one of the most unique, inspired and inspiring clowns that the world has ever seen.